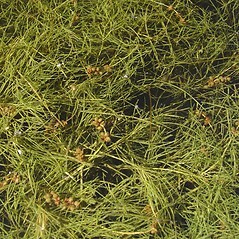 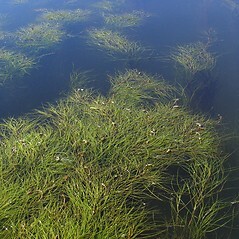 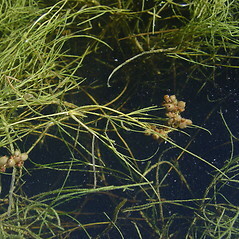 The tubers of sago false pondweed are an important food source for water fowl. 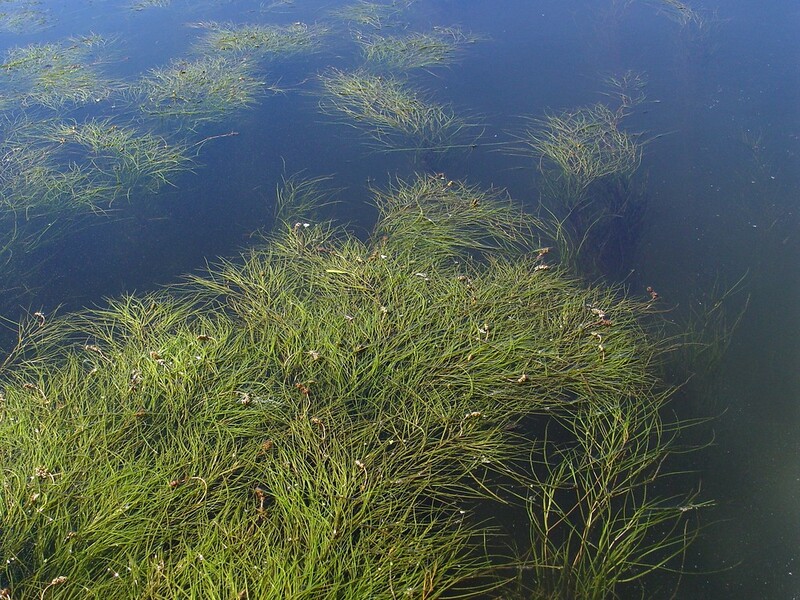 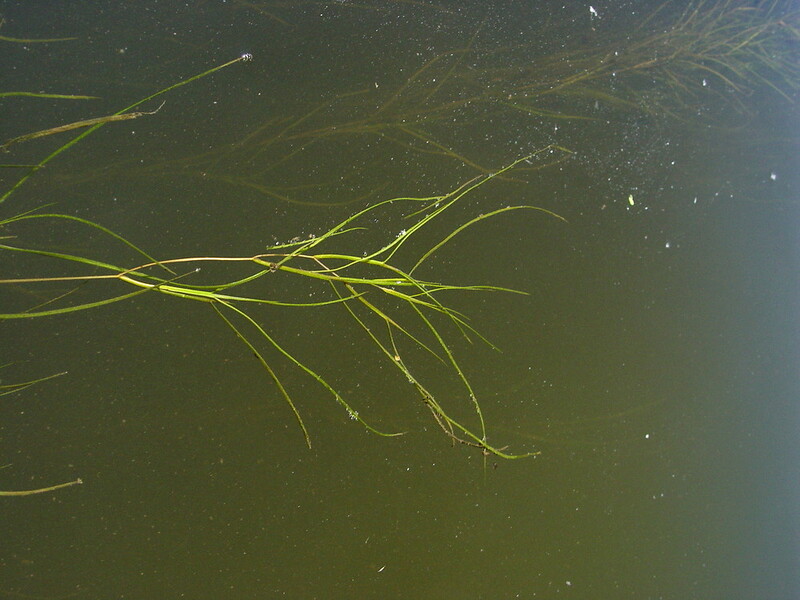 In a study of sago false pondweed tuber grazing by Bewick's swans, surviving tubers in heavily-grazed populations were buried on average significantly deeper in bottom sediments than tubers in ungrazed stands. 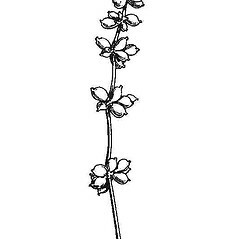 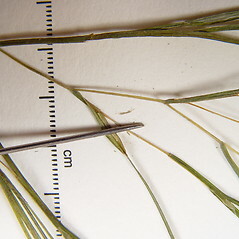 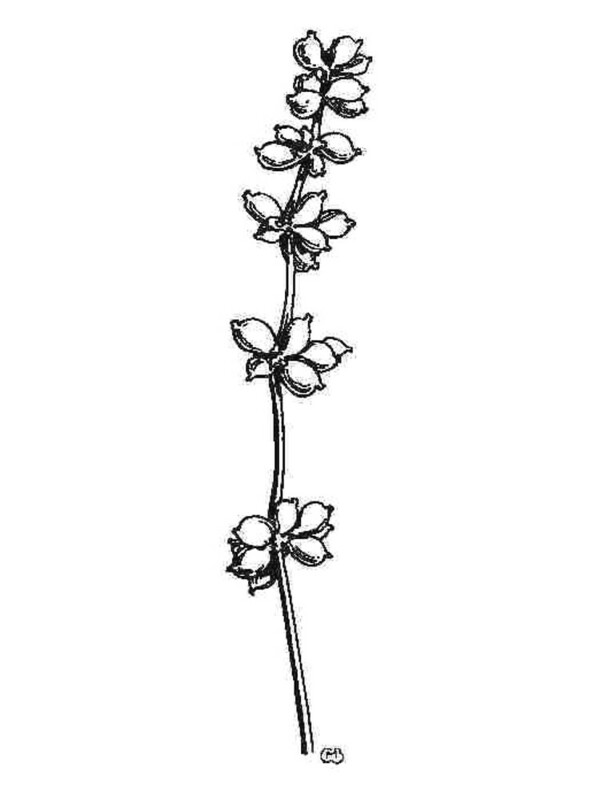 stipular sheaths closed, leaf blades commonly blunt to obtuse at the apex, sometimes retuse, rarely apiculate, and drupes 2–3 mm long, beakless (vs. S. pectinata, with stipular sheaths open with overlapping edges, leaf blades commonly acute at the apex, with an apiculus on young plants, and drupes 3–4.5 mm long, with a tiny beak). 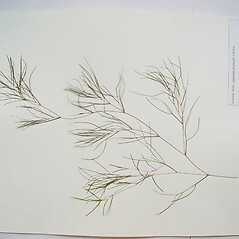 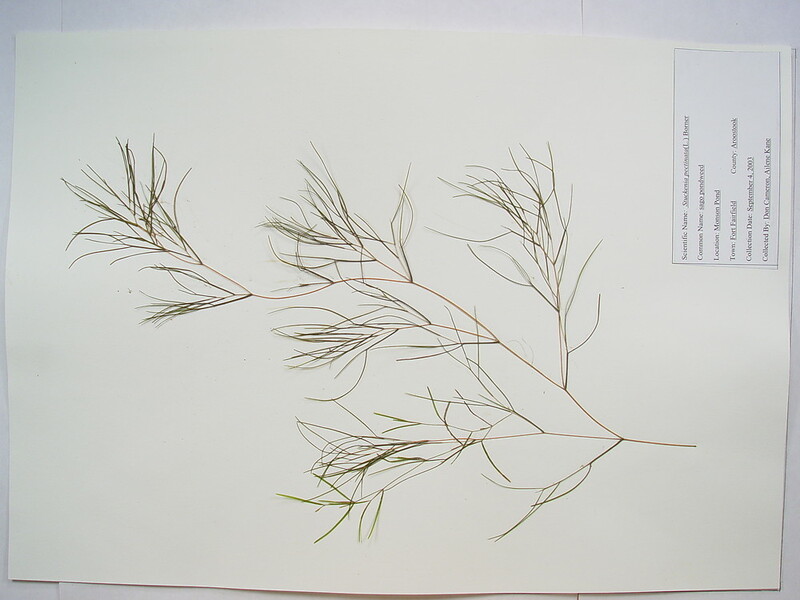 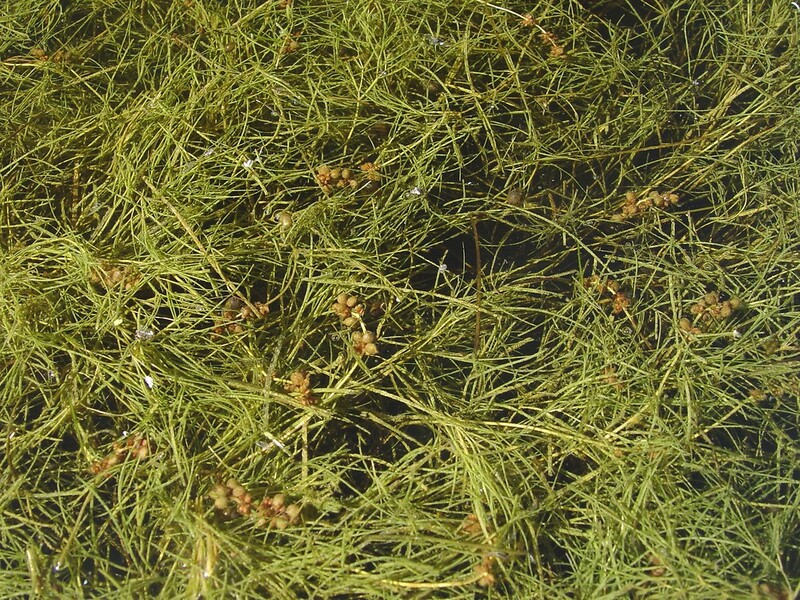 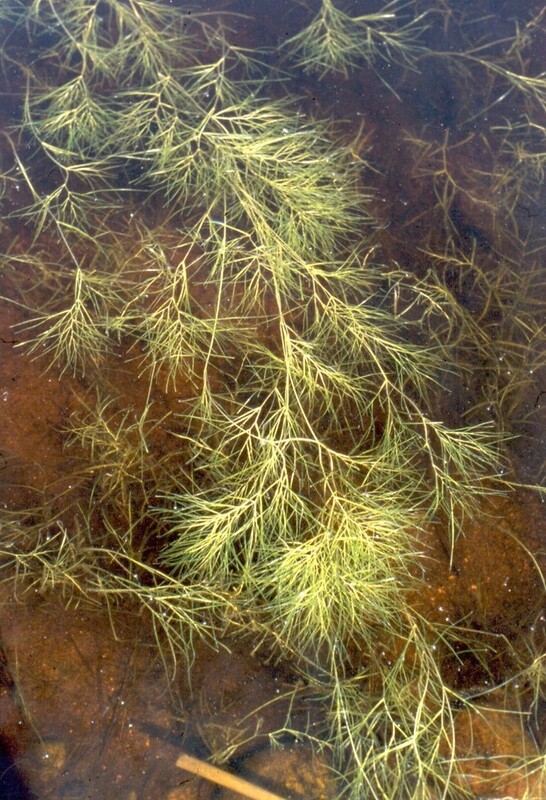 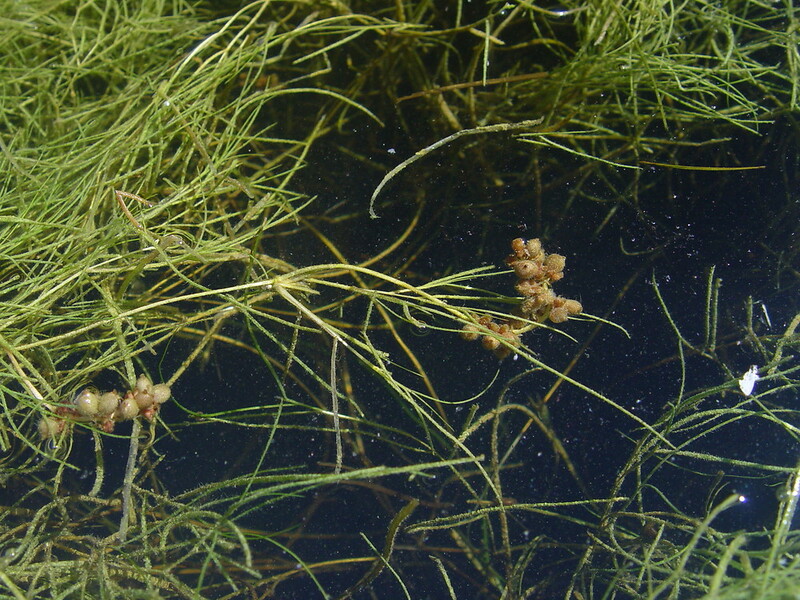 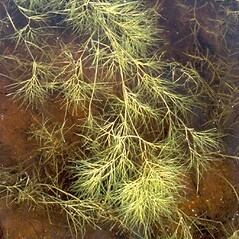 Sago false pondweed. 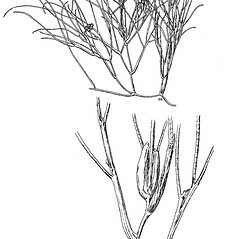 Coleogeton pectinatus (L.) D.H. Les & Haynes; Potamogeton pectinatus L. • CT, MA, ME, NH, RI, VT. 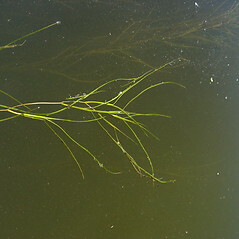 Shallow, still or slow-moving, circumneutral to basic water of lakes and rivers. 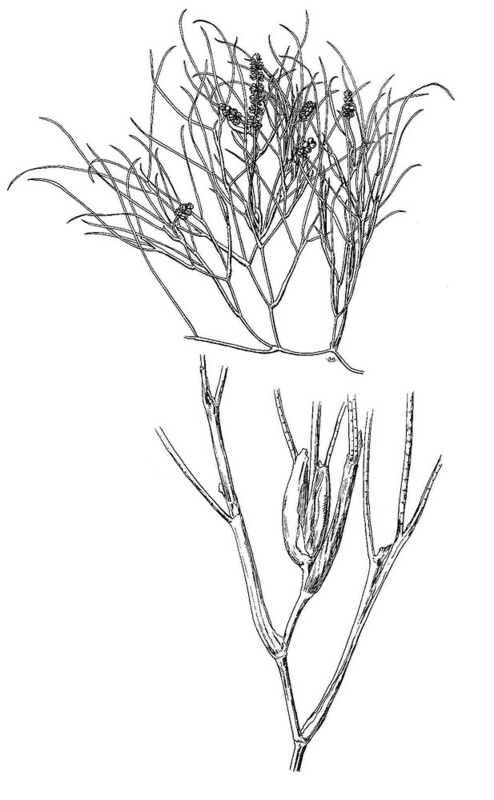 Identification of species of Stuckenia in North America have relied too heavily on leaf blade apex shape (Kaplan 2008). 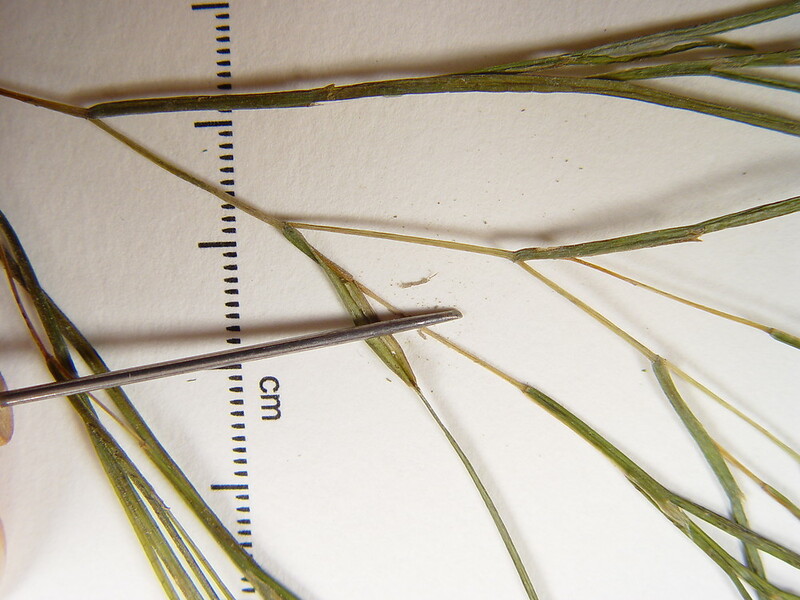 Leaf sheath morphology is the most important feature for distinguishing vegetative plants.